Whether you watch the news or just skim your Facebook feed, you’re probably aware that travel safety has been a hot topic lately. Eye-catching headlines and increased attention from media outlets has resulted in a lot of questions and concerns being raised by travelers. Feeling unsafe while traveling takes away the thrill of exploration. For any destination, it’s important to stay healthy, protect yourself from theft or loss of valuables, and be prepared to deal with unexpected events. Encompass the World Travel agents have eight travel tips that can help keep you safe during your next trip, no matter where your travel adventures take you. Stay alert to where you are and what the people around you are doing. Trust your instincts if you ever begin to feel uncomfortable, and remove yourself from the situation as quickly as possible. Solo travelers must be extra vigilant. Dress in simple clothing and leave the expensive jewelry at home. Stick to walking in well-lit, populated areas and be especially careful after dark. Even if you are lost, project confidence and walk with a purpose until you can find a safe place to ask for directions. Do your best to stay hydrated, understand which foods are less risky to consume, get plenty of rest, and use sunscreen. Moderation is particularly important when it comes to alcohol consumption, both to avoid illness and to maintain awareness of your surroundings. Avoid carrying large amounts of cash or credit cards, and divide what you do carry between a few different locations. Secure your cell phone close to your body—but not in your back pocket! —and don’t leave devices unattended anywhere. Travel insurance can provide protection and priceless assistance during medical emergencies, hurricanes or disasters, and other major events. Some even allow you to “cancel for any reason” if circumstances change before your trip. Travelers of all ages can potentially experience illness or injury during a trip. Healthcare systems work very differently outside of the United States, and cash payment is often required to receive treatment. This is another important reason to consider including insurance when you travel. Keep track of your passport at all times. Make copies of the information page and any applicable visas. Leave a copy with someone back home, carry a copy with you but separate from the original, and save a secure electronic copy to the cloud. For international travel, consider using the Smart Traveler Enrollment Program (STEP). This free service allows to you register your contact information so that the closest U.S. Embassy or Consulate can provide important travel safety updates or support during a crisis. Visit travel.state.gov for more details. 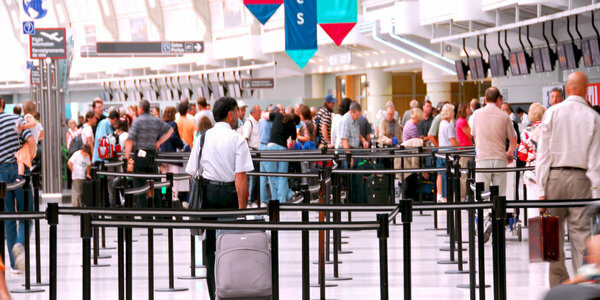 Encompass the World Travel specialist work hard to stay on top of changes that may affect the safety of their clients. For more information about a specific destination, contact Encompass the World Travel. Happy and safe travels are always our top priority!